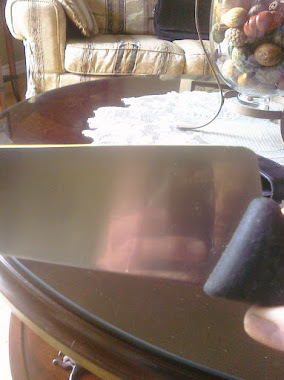 Knife Sharpening Using Traditional Methods: My grey areas cleared up. My grey areas cleared up. When I got very serious about sharpening and considering opening a business, I started to sharpen as many knives as I could get my hands on. 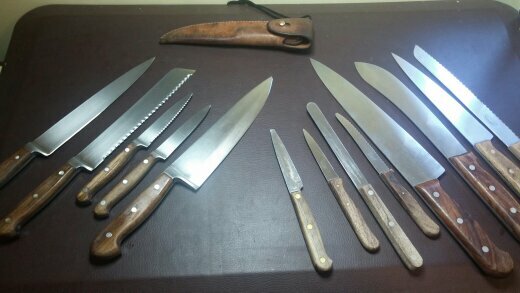 I sharpened steadily, every day for about a year to prepare for receiving customers knives. 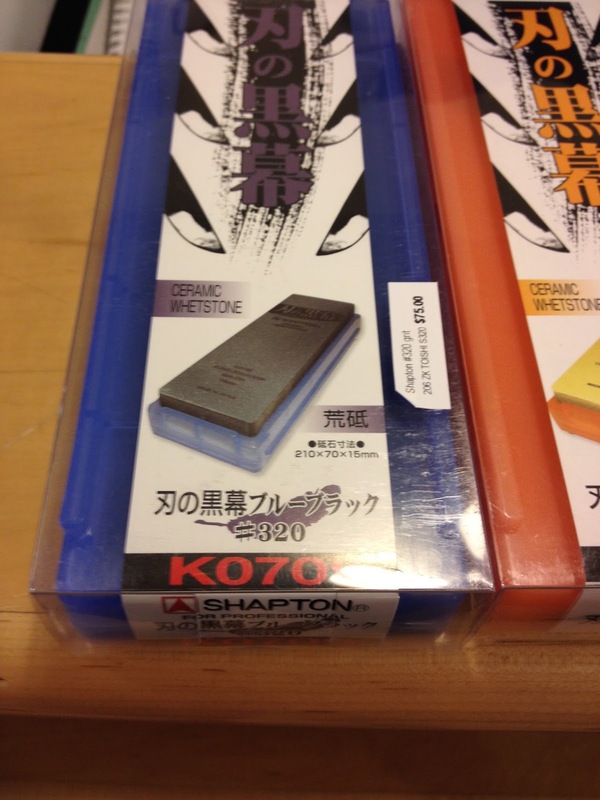 Along my sharpening journey, certain topics came up, aspects about sharpening that I was not sure of and I am sure that most sharpeners encounter the same issues I had. These are grey areas and I call them that because they were common potential problem areas and the internet was full of answers to all of them. It was a long time before I realized that most of the answers were just folks repeating what others had said and it was often incorrect. I'll give some of the areas that I still see being talked about on sharpening forums and are perhaps still giving people problems, not big problems but they can create doubt and chip away at confidence. The issue for me, and this is many years ago, was "do we need to form a burr on every stone?" This question came up as I read about people having difficulty detecting a burr on finer grit stones and I still see this pop up. So if we just think about it and how it is formed, it becomes obvious that you only should form the burr once, (or twice depending on the way you look at it, once on each side of the knife). We remove fatigued metal or remove new metal in some cases if you just want to re-profile the blade. This action exposes new, virgin steel so why do you want to keep forming a burr which would be composed of unused steel? We don't of course. I remember asking someone about it and they told me that it is a good idea to form a burr on each stone to ensure you are reaching the edge of the edge. You don't need to form a burr to do this, this will come with practice, you can paint the edge with a sharpie as well to make sure. ONE BURR ONLY (both sides). Now it may and probably will happen that you do form burrs more than necessary but that is okay. It is the understanding that you should strive NOT to form additional burrs that is important. I also see people talking about needing high grit stones to remove the burr. Burr Removal is of course essential and results in the sharpest edges, the "cleaner" the edge, the better. However, we don't need to rely on high grit stones, like 8,000 for example to make sure the burr is removed. 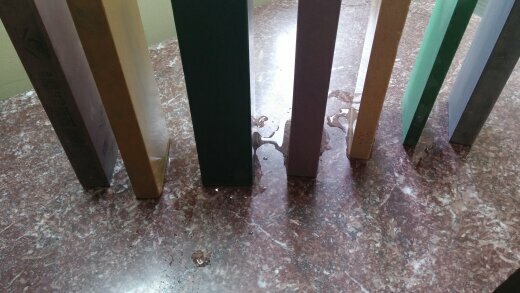 The most significant improvement in my edges came when I started using four levels of pressure on the coarse stone. SHARP level One came after I formed a burr and then removed it by reducing the level of pressure by 50% but still using the same stone and really concentrating on removing the burr and not forming additional ones. Sharp Level Two came on the same stone with another reduction in pressure and this continued for me until I am stropping on the coarse stone with extremely light pressure. By this time the knife is at Sharp Level Three and my goal is Level Five. This is achieved as I move to a medium grit stone and finally a finishing stone, 5k or 6k. The burr is pretty much gone by the time I am finished with the coarse stone. Now I know many say you cannot get rid of the burr completely and If you looked at the edge under a Scanning Electron Microscope, yes you would see some metal that just won't detach from the mother ship. However, that is beyond our control. What we can control is our burr removal process and I never rely on finishing stones to get that done. So Burr Formation and to a lesser extent, burr removal was one of those grey areas that are no longer grey. 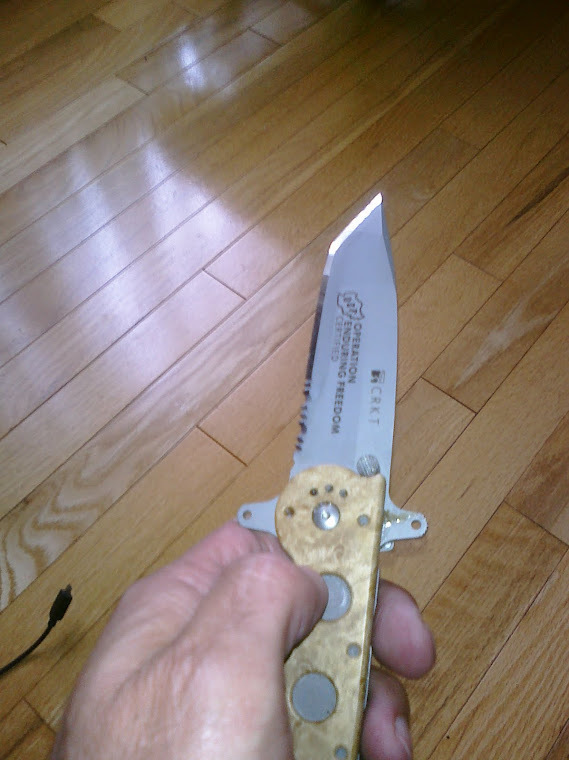 Another one was where to finish a knife, especially stainless steel knives, and I mean at what grit level. I kept reading that 1k is the best finish for stainless (Euro) knives but there was never an explanation as to why. 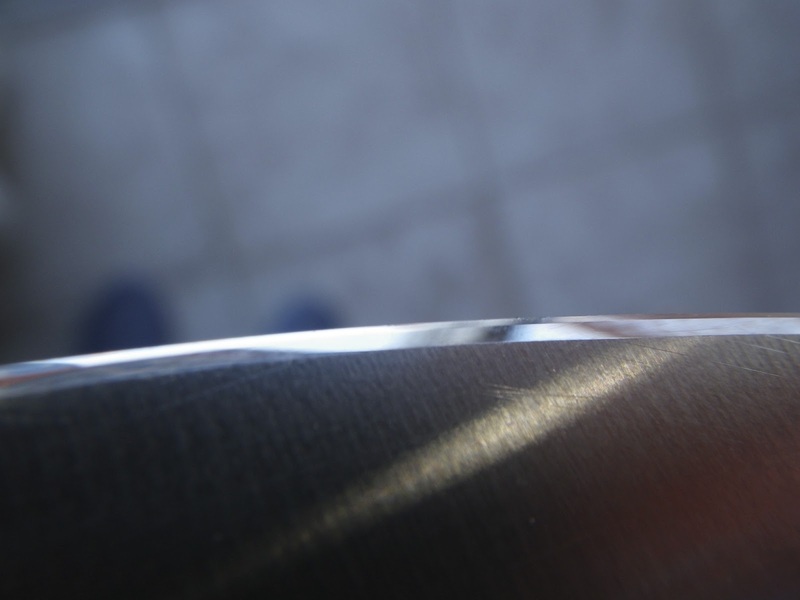 As I have mention in previous articles, it took me a few years to find that answer and it all has to do with edge retention, grinding soft metal at the secondary bevel area and it's impact on edge retention. 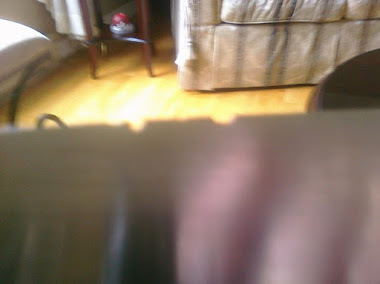 However, I have since discovered that you can finish a softer knife at 3,000 grit and a harder knife at 6,000 to 8,000 grit all with great results. There are so many other variables that impact edge retention that the difference between a 1,000 and 2,000 finish is insignificant. It is all about pressure and understanding that over sharpening is a bad thing. Great post, once more! Whenever someone starts to think about turning a hobby into business (be it knife sharpening, photography, woodcarving, calligraphy... you name it) lots of questions show up: Do I have enough knowledge? Do I have enough gear? Which would my market be? Would I have any competition? Which? How shoud I price my job? It is very nice for you to share this with us. Thank you and those are all things I went through, especially the pricing..I agonized over that but I’m happy now. There are other things that popped up but as you say, all common issues that folks encounter and figure out. Something that looks weird for guys 30 YO or less, is that both you and me started our jobs before the internet: On those days the real information (books, courses, ...) was scarce and usually expensive.